Sharp shocked the world in 2014 with the release of the Aquos Crystal. While the specs were mid-range at best, the lack of bezels around the screen (save for the bottom) was what got everyone's attention. Fast forward to 2017 and all of sudden, smartphones with minimal bezels are now all the rage. Today, Sharp is jumping back into the fray with the Aquos S2. The S2 has a 5.5-inch 2K bezel-less screen with the only real bezel at the bottom of the display with a home button. 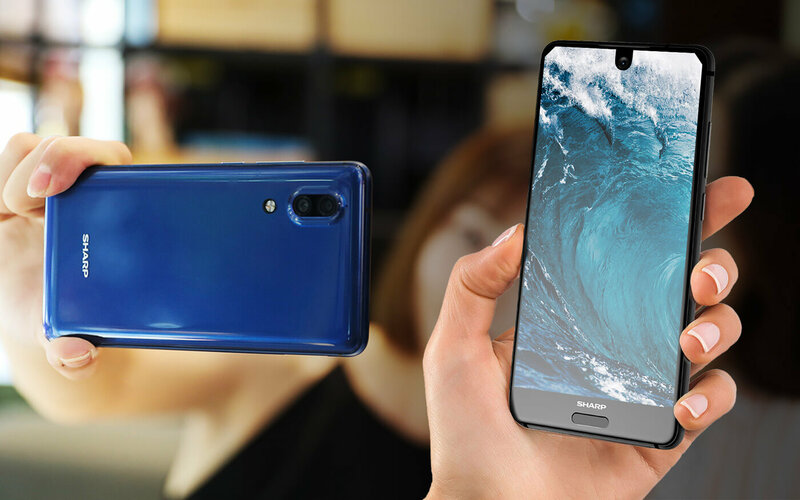 The screen wraps around the front facing camera and bears a striking resemblance to the Essential Phone which is curious because that phone isn't even out yet. The top corners of the screen also appear to be cut off in a strange quirk. Like the Aquos Crystal, the specs are decidedly mid-range, however, it comes in two models: the “standard edition” and the "high edition". 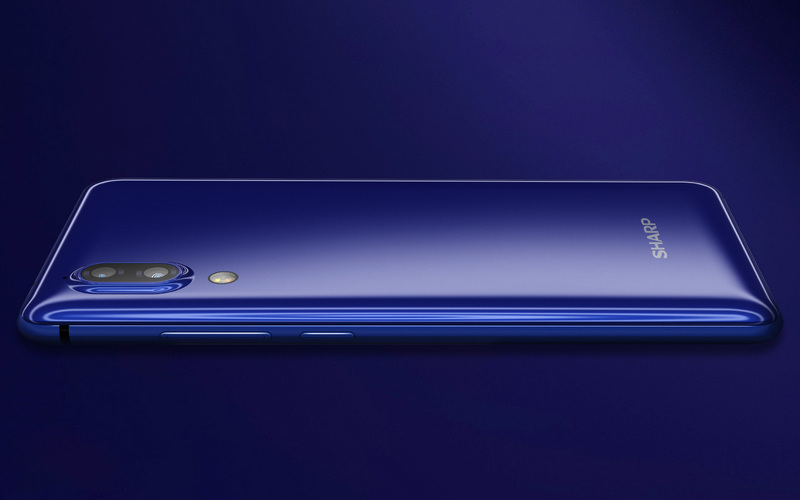 The standard edition has has a Snapdragon 630 processor, 4GB of RAM, and 64GB of storage, while the high edition has a Snapdragon 660 processor, 6GB of RAM, and 128GB of storage. Both editions sport a 3,020mAh battery, a fingerprint sensor, and Android Nougat. While the front of the S2 is reminiscent of the Essential Phone, the back is oddly similar to the upcoming iPhone. It’s a dual-camera system, with two f/1.75 lenses, placed vertically in the corner of the phone with the flash beneath them...just like the new premium iPhone is rumored to look. Instead of using bone conduction, the S2 uses a conventional earpiece that's hidden underneath the screen. The audio is channeled to a thin pipe placed along the top edge of the screen for clearer sound. The standard edition comes in black, white, blue or mint green while the premium version lacks the mint green option. So far the S2 seems to be a China only phone with pricing starting at ¥2499, or about $373 USD. There's no word as to whether Sharp plans to ship the phone to other markets. That front camera and those edges on top...I'm gonna throw up. Those bezelless phones... I don't trust on their fall durability... I would get an S6/S7/S8 Active because they seem more robust (I had an S7 flat with spigen tought armor...).